In January we popped and visited this stunning venue which is now under new management, has been fully refurbished and modernised, here is what we thought! The Venue is situated near the picturesque Suffolk village of Kersey and is easily found off the A1141 which is great for guests to find especially if you enclose a map or directions within your invitations. As you arrive you are greeted with rolling lawns, fields and a beautiful bridge over a cute stream (perfect photo opportunities). There is ample parking round the front and extra around the back of the venue and as you approach the front area of the building there is a lovely decked area, great to greet people and guests as they arrive. Everything looks very fresh and clean with a modern minimalist touch; nothing is too over done which is great as you can add whatever theme or colours you like, everything will work in this venue! There is a bar area just inside the front entrance, a good size with comfy seating and perfect for pre wedding drinks and to greet your evening guests as they arrive later in the day. The toilets are on the ground floor and have clearly been completely refurbished and redecorated. They are a good size and we noted that a bride even in the largest wedding dress will have plenty of room to manoeuvre. There are cute glitter toilet seats, high quality fixtures and a modern feminine feel, we really liked the toilets and thought they are very well done. The main room is up stairs and as you walk through there are wooden beams and fairly lights, a modern light carpet and airy feel. The room is big enough to be screened off having the top part for the ceremony. The main room all set up for a ceremony, note the lovely ornate screen in the background; where the bride will emerge from before walking down the isle. The kiln room is stunning and fully licensed for a more intimate wedding ceremony; it’s also perfect for the evening buffet, candy buffet, photo booths and also as a snug, perfect for the older guests or those with young children. 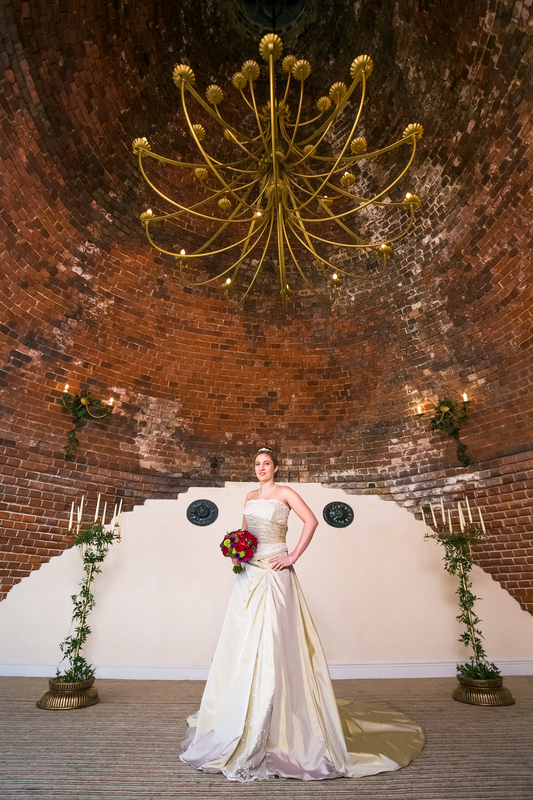 It is also perfect for when the bride arrives, entering through the Kiln room from outside, unseen by guests and a wonderful back drop for photos with the father of the bride and bridesmaids. 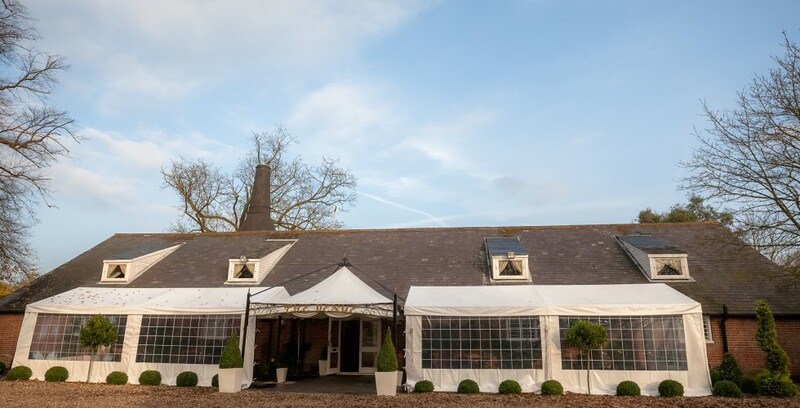 After the ceremony there are plenty of options for your drinks reception, the Kiln room, bar area and outside decking; perfect for any weather situation. 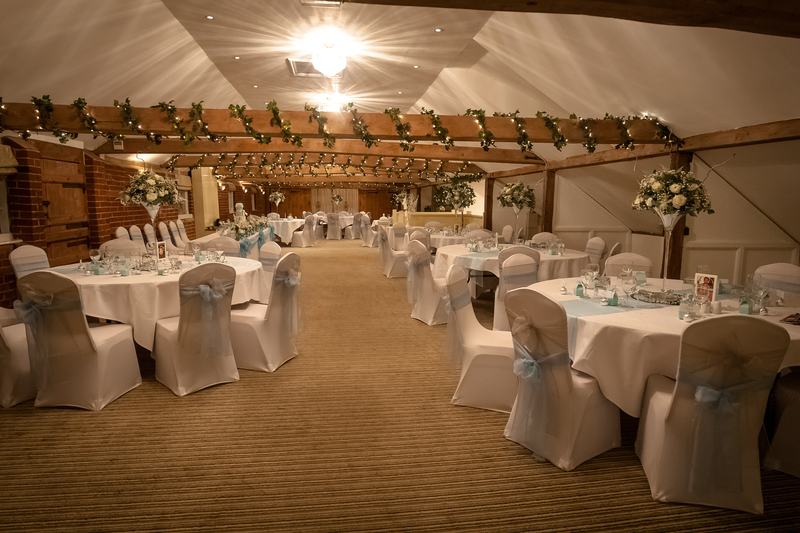 The main room is transformed for your wedding breakfast and has a great ceiling height. Low or high centre piece arrangements work, there seems to be plenty of room to move around even at full capacity but still have that intimate feel. The bride and groom on a top table will be able to see all their guests and interact with them, which is important. 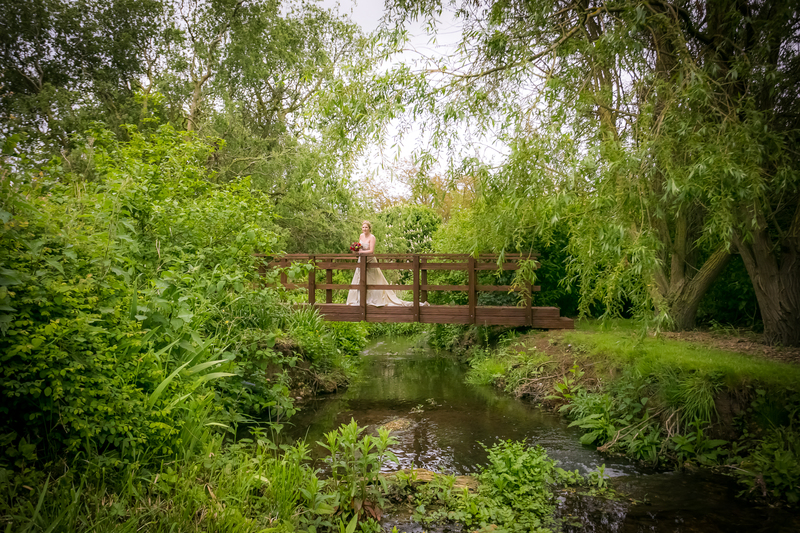 There are clearly some stunning photo opportunities at the Venue, outside and inside, the bridge, stream, and front lawns in particular and the Kiln room inside has produced some of the best wedding images I have seen . Gina & Jim, who are getting married there in August 2016, booked The Venue on how it made them feel. “We found Kersey Mill homely with a cosy feel…and not to over bearing! It’s an intimate venue”. When we viewed the Venue www.jamieleesmithcatering.co.uk, who provide the in-house catering for the Venue, were providing tasting sessions for prospective clients and the smell for the kitchen was wonderful and although we did not taste any of the food myself it looked totally amazing and everyone looked very happy! There is no overnight accommodation at the Venue but why not stay at the Bildeston Crown, there are also some lovely local B&B’s or rentable cottages nearby and of course the stunning Hintlesham Hall is only 15 minutes down the road. 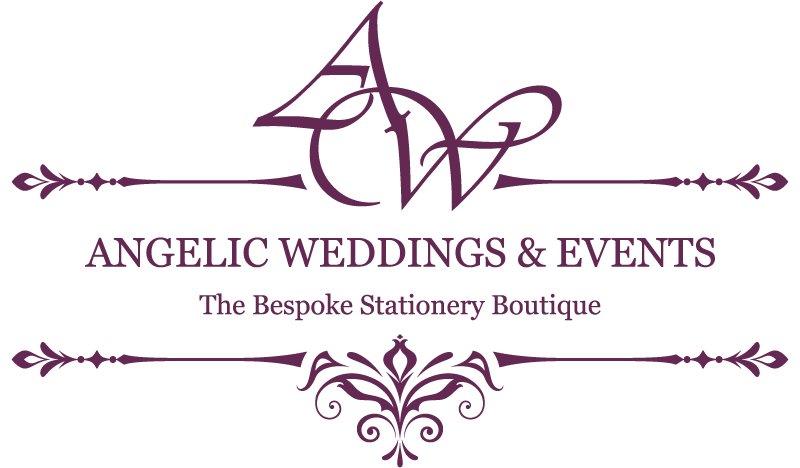 The Venue provides various packages including All Inclusive, Party and a two course meal package, so lots of choice available to suit your budget and feel for your big day. 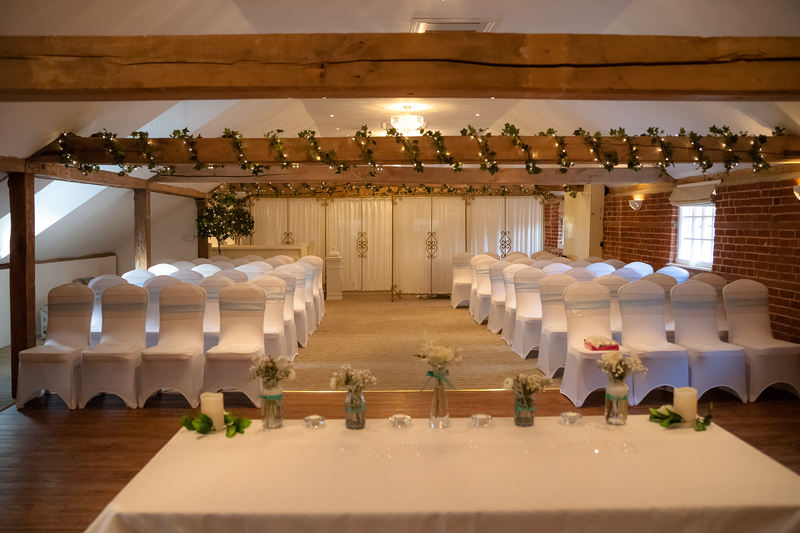 Becky and the team are so welcoming, accommodating and helpful, we highly recommend The Venue at Kersey, for a fun, homely and modern wedding, a venue which you can really put your stamp on! All images courtesy of Andy Chambers Photography.